A side-splittingly funny summer read about two best friends who decide to take a chance and travel the world, finding themselves – and finding love – along the way! Until a few weeks ago, Leanne was a thirty-something who lived with her mother. And yes, she still slept under her Barbie bedspread. Until recently, Maddy was married to a man whose golf club got more action than she did. Leanne and Maddy (and their miniature poodle Bridget) have packed their suitcases and bid goodbye to their dreary lives for the summer. After winding along Italy’s sun-dappled Adriatic Coast in a shiny red convertible, sailing around Croatia’s gorgeous Dalmatian Islands awaits them. 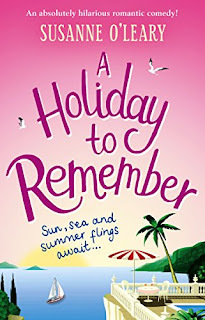 I really wish I was still reading this book, I was thoroughly enjoying the continuation of Maddie and Leanne's holiday, and that I was still accompanying them on their trip. Instead I am left with a book that was a joy to read and I suppose I had to run out of pages at some point, at the rate I was devouring them. This is the direct sequel to The Road Trip, and I really would recommend you read that first partly so that you don't miss out on a fabulous book, and so that you have the full picture as to these characters pasts, and their current circumstances. This time Leanne is seen more as the main character, as most of the focus is on her, and it was lovely to get to know her better. She is misguided when it comes to men, but spending a trip around the Dalmatian Islands with an interesting set of people could be the making of her. Along with the girls on this boat trip, are two me, one tricky ex, an older relative that seems to be hiding something, and of course Bridget the dog too. There is plenty of drama and equal amounts of laughs in this fabulously summery book. All the locations in Italy and Croatia were exquisitely described and gave a real sense of the locations, the food, the atmosphere, the friendliness of the locals. was all really vivid and brought back memorie of the odd day I have spent in the area myself. A Holiday to Remember is exactly that, its perfect for these hot summer days or when you want to relive a holiday of your own. 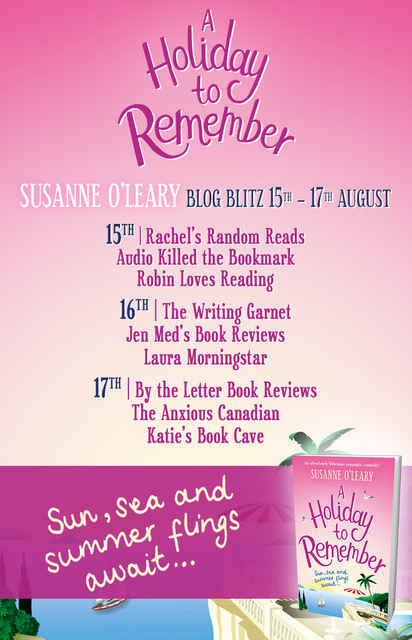 A pure joy to read, I would recommend it to everyone that enjoyed romantic comedies set in fabulous locations. Thank you to Bookouture and Netgalley for this copy which I have reviewed honestly and voluntarily.